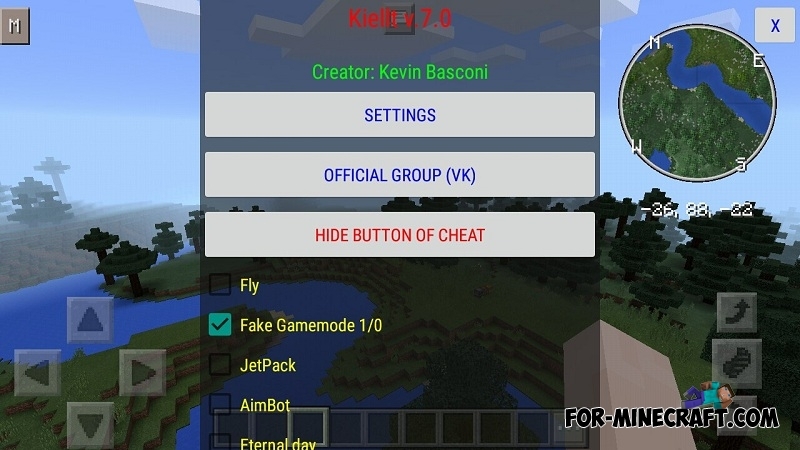 Kiellt is a new cheat thanks to which you can easily gain some superiority on Minecraft PE servers. It's best to start the cheat with ToolBox! This cheat does not contain many functions, but they are all very popular and suitable for all players. Remember that you can be banned at any time during the use of hacks, so use the Kiellt hack very carefully. 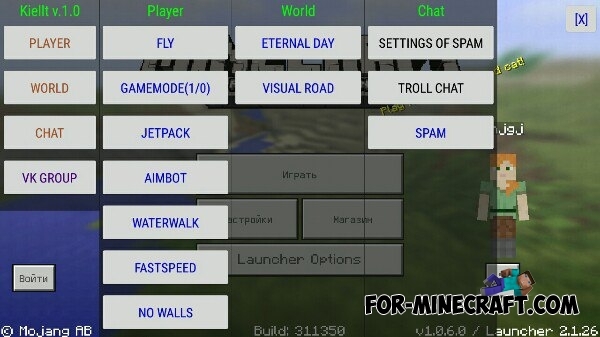 Now more functions work on servers in MCPEMaster. The "Bypass protection MCPE MASTER" checkbox has been added. Added several new commands: getid, getxyz, help 3. Added new buttons: Get coordinates, Get object id. Fixed bug when opening the hack menu. Fixed AutoHack Password through the base tick. Inactive buttons have been removed. How to install the Kiellt hack? Download the Kiellt on this site. Next, you need Minecraft PE and ToolBox. Open the ToolBox app (download the latest version). Click on the Launcher option button -> ModPEs -> +. 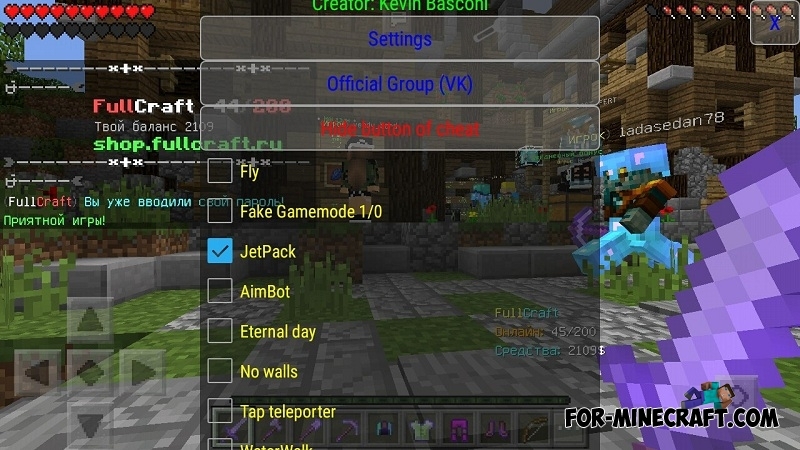 Jetpack addon for Minecraft PE 1.0.0/1.0.4Addons are becoming more diverse and unusual resembling normal MCPE mods..
Скачиваешь блок лаунчер про на ту версию которую надо устанавливаешь,а потом скачиваешь сам чит, и ES проводник, когда ты скачал чит ты заходишь в ES проводник распаковываешь в загрузки.